Provide comfort for the family of Emma Santiago with a meaningful gesture of sympathy. Springfield - Emma A. Santiago, 71, of Springfield, passed away on Friday, February 1, 2019 at her home. Emma was born in Ponce, Puerto Rico on January 24, 1948 to her parents, Rosendo Arroyo and Juana D. Hernandez. Emma was predeceased by her loving husband, Cruz A. Santiago; her father, Rosendo Arroyo; and her mother, Juana D. Hernandez. 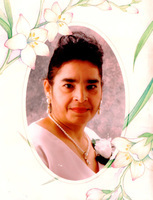 Emma was very much loved, She leaves to cherish her memories to her 5 Daughters, Emma Santiago Ford, Wilda Santiago, Belda Santiago, Carol Harper and Docilia Infante; her 2 brothers, Felix Arroyo and Luis Arroyo; her 2 sisters, Carmen Arroyo and Margarita Lopez; 8 grandchildren, 7 great-grandchildren and many family and friends. To send flowers in memory of Emma A Santiago, please visit our Heartfelt Sympathies Store. We encourage you to share your most beloved memories of Emma here, so that the family and other loved ones can always see it. You can upload cherished photographs, or share your favorite stories, and can even comment on those shared by others.